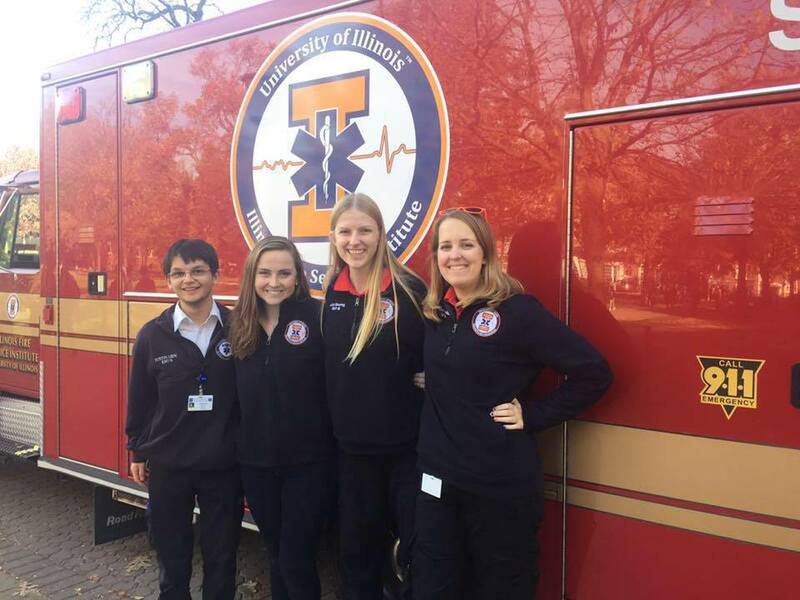 Illini Emergency Medical Services (IEMS) is the student-led EMS program at the University of Illinois at Urbana-Champaign. 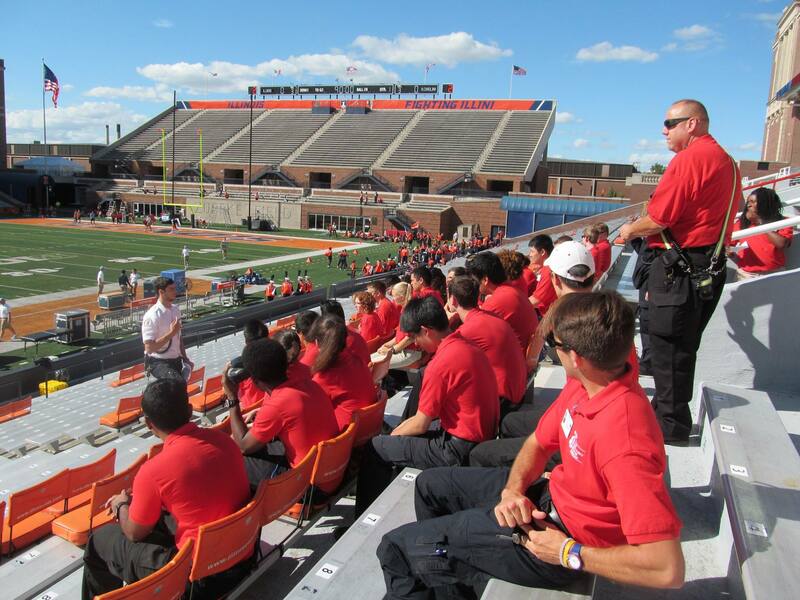 IEMS functions to have a safer campus by providing volunteer EMT-Level responders for over 250 campus events and activities each academic year. They also increase the response capabilities of the campus community by providing training in Cardiopulmonary Resuscitation (CPR), Automated External Defibrillator (AED) use, First Aid, Emergency Medical Technician (EMT), and other classes. 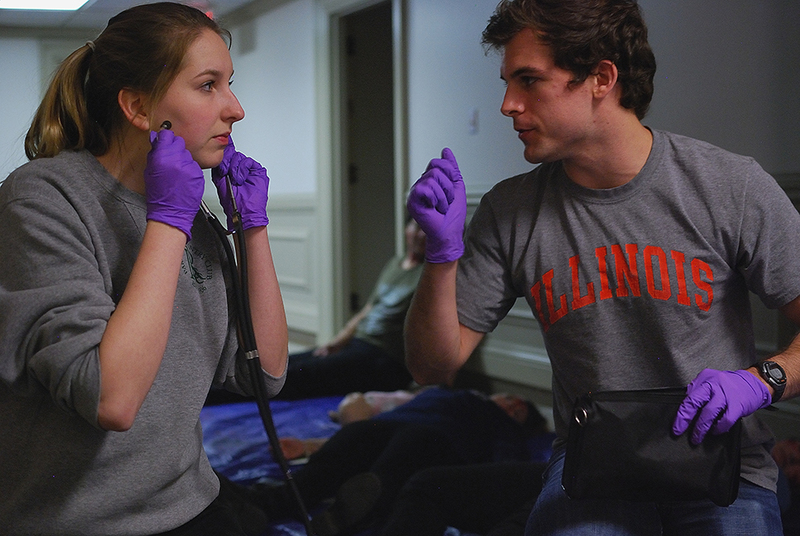 The goal of IEMS is to be the primary provider of non-transport emergency medical services care and training to student, staff, and faculty at the University of Illinois at Urbana-Champaign. IEMS was established as a Registered Student Organization (RSO) in 1979 by University of Illinois students who identified a need for additional response capabilities at campus events. 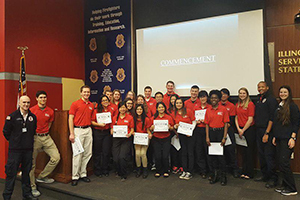 IEMS transitioned from being an RSO to operating as a program within the University of Illinois Fire Service Institute (IFSI) in July of 2016. 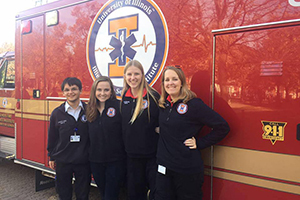 This transition gives IEMS a more formal connection to campus, including training resources, assistance with equipment maintenance, access to a training ambulance, and IT/administrative support. In September of 2016, IEMS became the first EMT-Basic level agency in Illinois to become trained to administer epinephrine via manual injection (versus the more expensive auto-injectors). IEMS is primarily funded through fees charged for training. 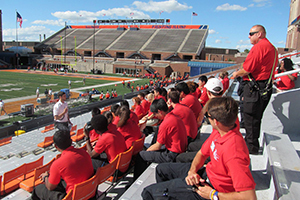 This limited income allows IEMS to remain equipped and prepared for emergency responses at campus events, and maintains the training equipment for future classes. While it received a one-time contribution from campus to replace obsolete equipment in 2015, it receives no annual campus funding. IEMS provides EMT stand-by teams through donations from some event organizers, but many activities do not generate revenue, and without a volunteer team from IEMS these events would not have EMT-level coverage until an ambulance arrived. Improve emergency response equipment. With the introduction of medications into the EMT-B protocols, maintaining a supply of medications is a challenge. Offset the costs of EMT-Basic and other training. 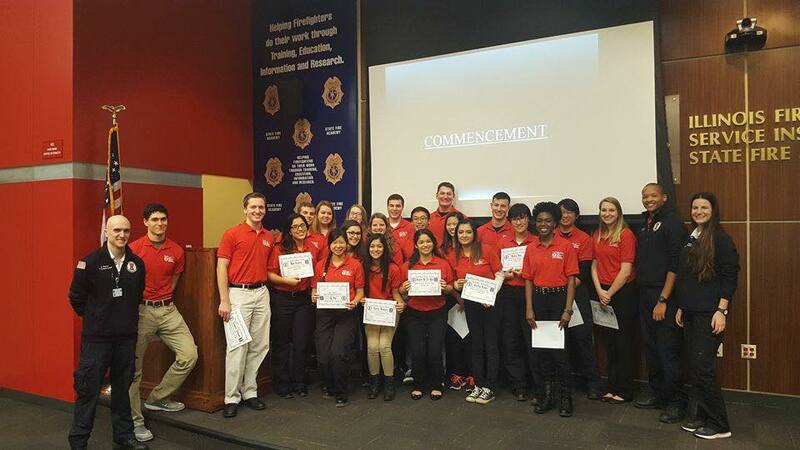 EMT-Basic training is offered through IEMS to meet internal training needs to staff campus events. Donations would offset the cost of training equipment and materials to maintain the quality of instruction without raising the cost fee. Support travel of IEMS officers to the National Collegiate EMS Foundation Conference. Held annually on the east coast, this event provides IEMS officers with the opportunity to network, learn, and improve from the only organization focused on the unique issues of college EMS providers. Expand IEMS's response capabilities through a new motorized quick-response vehicle to be used at campus events.